A Cheshire rowing club has received a cash boost from local house-builder Bovis Homes, helping it move closer to reaching its funding target for a new boathouse. Northwich Rowing Club started demolishing its old boathouse, which is over 100 years old, last autumn, but discovered that the ground was unstable and additional funds would be needed to complete the project. The Bovis Homes Mercia regional team have now stepped in to donate £500 to the cause, as the club looks to power towards their new goal. Based on the River Weaver, Northwich Rowing Club was established in 1875 – ten years before Bovis Homes – and has squads at every level. Its members range from 12 years old to over 70, with some going on to represent Great Britain. The most well-known of these is Olympian Matthew Langridge, who won gold in Rio, silver in Beijing and bronze in London, becoming the only British oarsman in history to have 'the full set'. 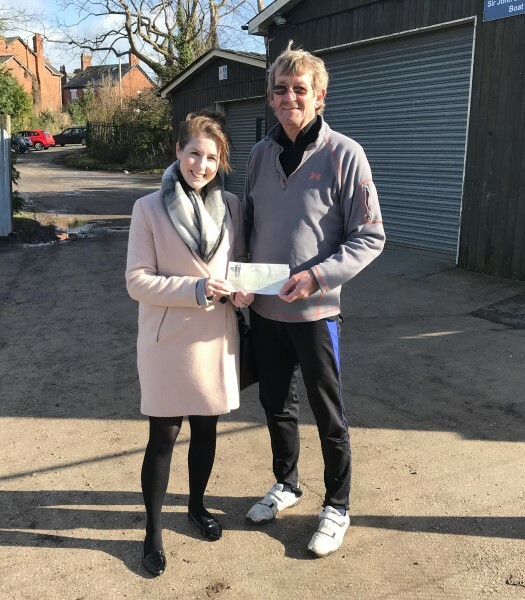 Mike Francis, a senior life member at Northwich Rowing Club, said: “Northwich Rowing Club is delighted to receive the financial support of Bovis Homes towards our new boathouse. With a history of supporting local communities, Bovis Homes has a range of homes available throughout Cheshire, including in Moulton, Cuddington and Sandbach, creating carefully-designed neighbourhoods and properties for a modern lifestyle.